Made this card for another of my first time Copic markers buyers who uses Copic markers in his arts. 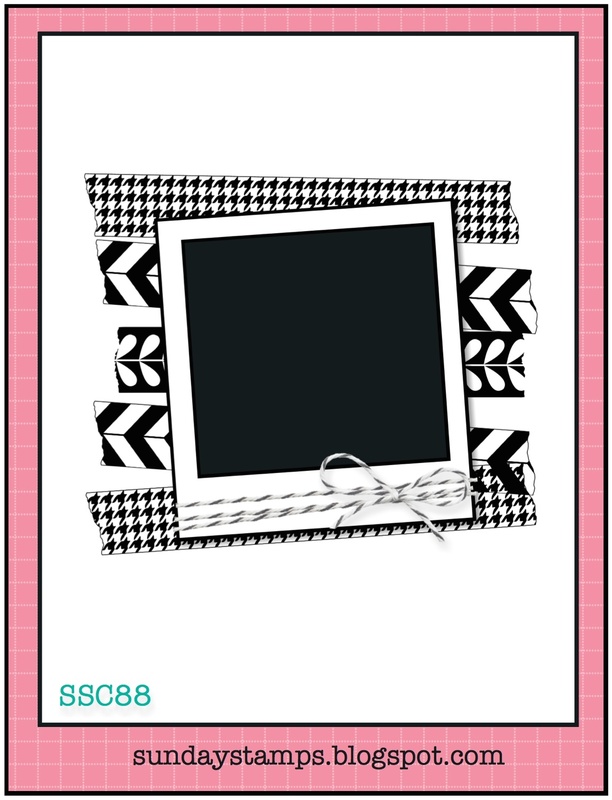 Sunday Stamps Challenge - SSC88 - It's a Sketch! I adopt the simple sketch from Sunday Stamps Challenge - SSC88 - It's a Sketch! as shown above. I decided to use a tag as the main focal as suggest in the sketch. 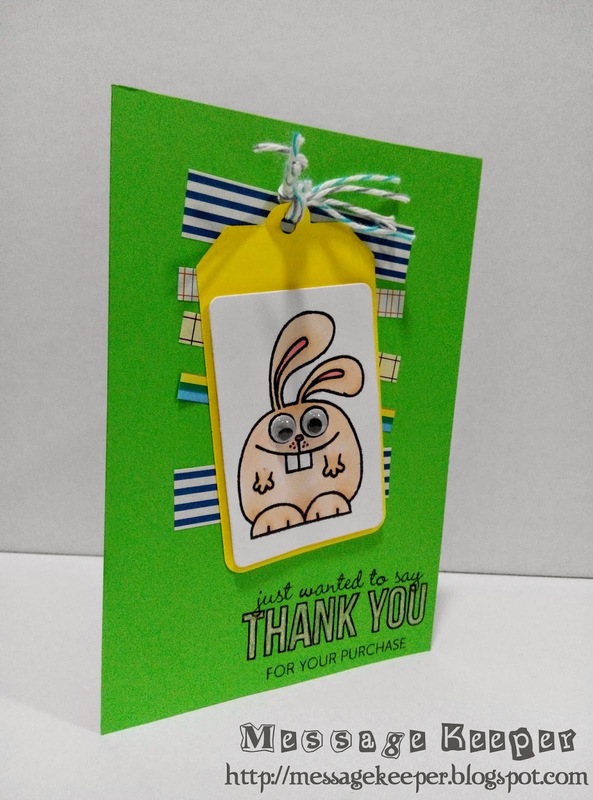 The bunny is stamped on a white rounded corners rectangular and colored using Copic markers. It is attached onto a yellow tag using pop dots. The tag is completed with the grey and blue twines and two (2) googly eyes. On a green card base, some various 'masking stickers' patterns are attached onto the top portion of the card base in zig zag way. The tag is attached directly onto these 'masking stickers'. The sentiment is stamped at the right corner bottom of the card base. Again, the space in the word 'Thank You' is filled or colored with silver glitter ink to emphasis it. I love your bright Green card base. Bright Green is such a fun and happy colour. 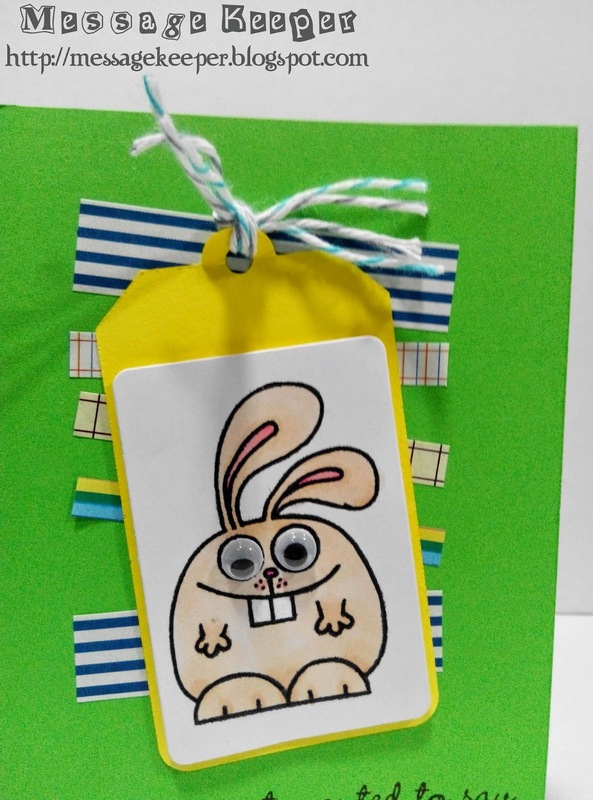 Your tag with stamped bunny makes a great focal point. Nice job with the copic colouring. I am just getting into copic markers myself, and I must say they are addicting. Thanks for sharing this cutie with us this week at Sunday Stamps. I love your bright green card base. Bright green is such a fun & happy colour. That bunny makes a great focal point. Nice job on the copic coloring. I'm just getting into copics myself. They are addicting i must say. Thanks for sharing this cuties with us at Sunday Stamps. I love your bright green card base. Bright green is a fun and happy colour. That bunny makes a great focal point. Great job on the copic coloring. I'm just getting into copics myself, and love them. 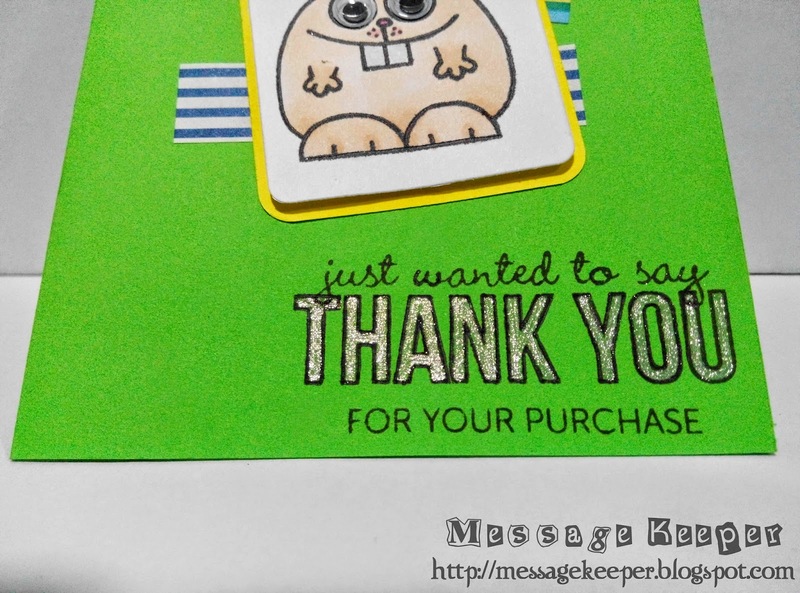 Thanks for sharing this cutie with us at Sunday Stamps. Super cute image and I love the tag as a focal point. Thanks so much for joining us at Sunday Stamps! Adorable! That little bunny is one of my favorites!! Thanks for joining us at Sunday Stamps. What a fun card! Your bunny is beautifully colored and a great focal point. Thanks for playing along with us at Sunday Stamps--we hope you can join us again soon!